Ya know what’s giving me so much guilt at the moment? Well, apart from eating an entire bag of caramel chocolate buttons over the course of the past hour, it’s the fact that I’ve neglected my blog so much recently. I used to be an absolute blog-a-holic and every spare moment would see me tapping away on my laptop or photographing content for this little space of mine on the internet. It’s definitely taken a back seat recently, but, my life has drastically changed in the past few months (so can I really blame myself too much)? I don’t want to put too much pressure on myself to start creating lots of content because I don’t want it to feel like a chore like it has done lately, but I don’t want to let this all go completely. SO, I’m just going to start putting up content that I enjoy creating. 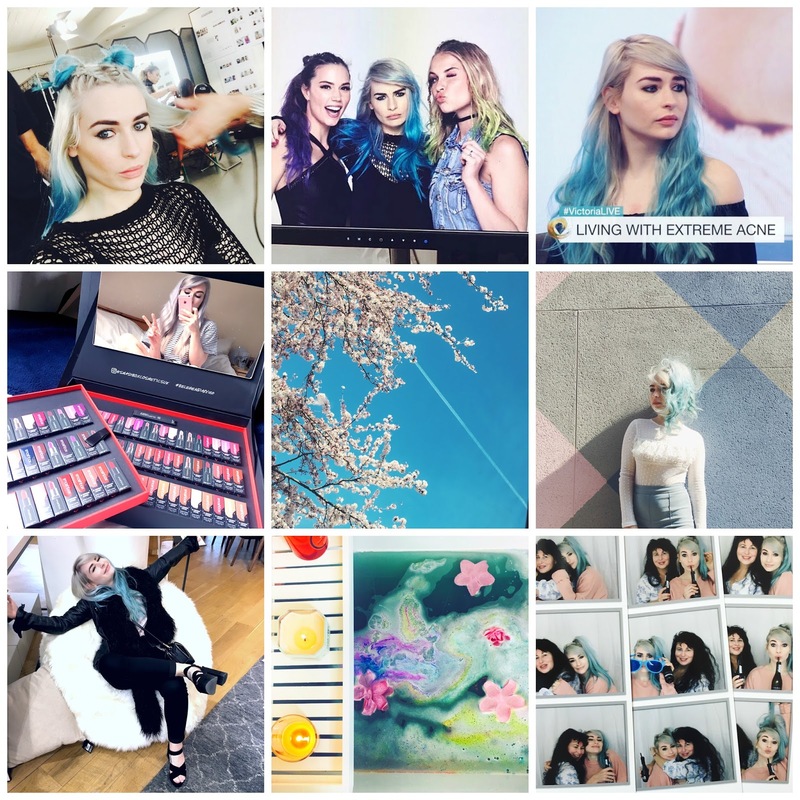 I want to get back to my blogging roots, when I would just write a paragraph about a nail varnish I’ve been obsessed with or an eye makeup look that I can’t stop wearing. So, where best to start than a little life update? As I mentioned, LOTS has changed so it’d be nice to document this time in my life and where better than on my blog. So, I’ve been living alone now for 2 months! It suits me perfectly as I’m a true introvert and most content when I’m by myself, but this isn’t permanent. I’m looking for a housemate to rent the 2nd bedroom and I’m hoping I’ll have found someone in the next month (although it’s been challenging so far). But for the mean time, I’m making the most of being able to walk around naked, pee with the door open and having shoes all over the living room whilst I can! At the start of the year I began a big decluttering mission (you might have seen if you watch my daily vlogs!). I knew that ‘things’ didn’t make me happy and I was finally ready to let go. I have problems with hoarding and get very attached to things for absolutely no reason but I’ve really enjoyed the decluttering process and whilst I’ve still got a long way to go, I’m happy with the progress I’ve made! You might have seen that last month I presented a documentary for the BBC! This was one of my ‘life highlights’ to date and I still can’t quite believe I was lucky enough to have the oppurtunity. I have a full blog post going up about it on Sunday (with lots of behind the scenes pics), but if you or anyone you know has suffered with acne then I urge you to watch it (here)! March saw another BIG highlight in my career and I’m still pinching myself. I was whisked away to Paris with L’Oreal to shoot the packaging shots for some new Colorista products coming out at the end of the year. It’s funny because I was daydreaming ALOT about how I would absolutely love to work with Colorista when an email popped into my inbox about being involved. The power of positive thinking, hey! It was the most incredible experience that I’ll never forget and I can’t wait to see my face in stores when it launches! So, getting used to single life again! I’ve actually really been enjoying dating again and doing things on my own (apart from the breakdown I had last weekend when I realised I had zero plans and felt utterly lonely). I’ve joined Tinder and I’m now collecting some hilarious date stories which are too bizarre to make up. I’d love to share some of them with you at some point (so let’s just hope the dates don’t google my name)! This was really enjoyable to write, despite me putting it off for so long! I hope you enjoyed it and feel a little more updated with what’s going on with me now! If there is EVER any content you would like to see on this blog then please, do let me know! It’s nice to know you guys enjoy these as much as I do. Previous Post PREPPING FOR SUMMER HOLIDAYS! I've been keeping up with your life via your vlogging channel but I love that you're blogging again! I know we don't really know each other but I cannot help but be so proud of you and of what you've achieved these past few months. You are such a strong woman babe, I wish you all the happiness in the world! I absolutely hate shaving my legs, one of the most boring tasks – this sounds like such a great option! The most important thing about blogging is enjoying what you do, like you said, you don't want it to feel like a chore. Thanks for the life update, it's good to see life is going well for you. Sometimes life happens! It's important to take time for yourself, and to blog when you want to not because you have to. I think you deserved a break 🙂 Thank you for the update! !